Take a break in Elche, a city well known for its World Heritage sites, the footwear industry and its beautiful beaches. You can walk through its never-ending Palm Grove and nourish yourself in culture at the Roman museums and ruins. 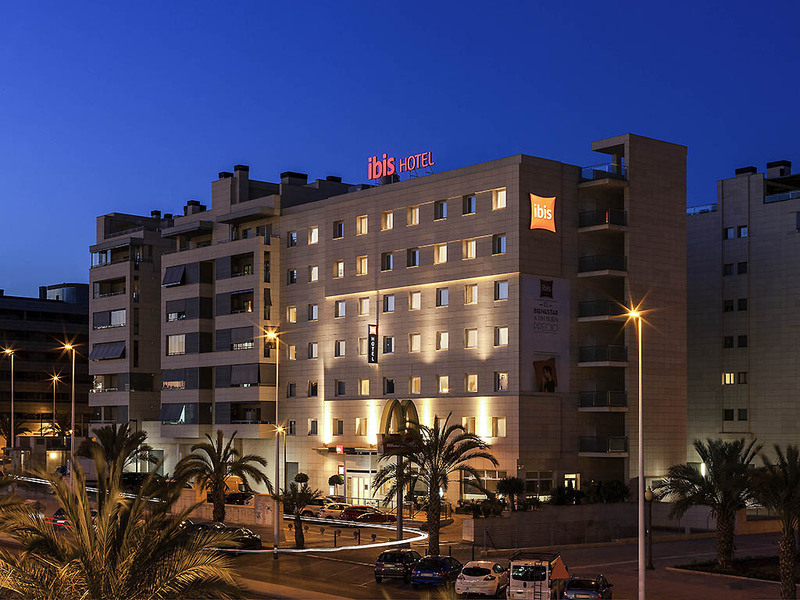 Ibis in Elche Hotel is 10 km from Alicante Airport and 17 from Alicante Término station. The fair district is 7 km. Close to Arenales del Sol and El Alted beaches and the Palm Grove, 2 km away. This is one of the better Ibis. Very good breakfast with freshly pressed orange juice. Very secure garage at 6 euros. Correcta, confortable y para volver a repetir. The staff were polite, friendly and attentive to our requests. The room was very comfortable and catering adequate and good value for a budget hotel. The bus stop outside the hotel connected with the station and the centre of town and we were able to forget about the car left in the free parking. We are always warmly welcomed at Inis Elche, we staynthere on a regular basis and know most of the staff by name. The Manager, David and Deputy Natalia are especially helpful and the hotel is very well managed. The staff appear happy and contented and project a pleasant atmosphere. The rooms and corridors are newly refurbished and everything is fresh and clean. Everyone was attentive, polite, and helpful. Loved it and would stay again surely. We have stayed in this Ibis many times and it has always been good. An excellent secure garage for 6 euros and it is the only Ibis that offers fresh orange juice at breakfast. A good hotel for overnight stays on the way to Costa del Sol. Excellent room, very clean and quiet. Staff on reception were very helpful, friendly and cheerful. Dinner was ok but nothing outstanding. Breakfast was excellent. Breakfast was good enough. I was faced with a few IT problems. Third time succeeded. I stayed in Ibis Elche for a couple of days since I had several meetings in the region. The hotel and the room were clean. The Hotel staff was very friendly. I had my evening dinner in the hotel restaurant and the food was also very good. However, the breakfast did not satisfy me fully. The Espresso coffee machine was not working and the coffee served was not at my taste. I was also expecting some bacon and eggs but this was not available. As always my stay at this hotel was good. The staff are always polite and helpful. The rooms are always clean and comfortable. I stay at this hotel at least once a month and have never been disappointed. The hotel was great for us as our flight arrived quite late. As it is on a bus route, it is easy to get to , and the bus driver knew what stop we should get off at. The room was very comfortable and I believe that they have new bedding which was very cosy. Both the bathroom and the room were very clean. All the staff we dealt with were exceptionally helpful. The staff at Ibis elche wer welcoming and f. and above all helpful No issues with this hotel overall very good considering amount paid. The bedlinen and matress were very unconfortable.